In just a few days, my family will embark on our first Disney Cruise. We’re stupid excited for this adventure and as a life-long Disney fan, I’m personally looking forward to experiencing the Disney Difference at sea. Not only is this our first time sailing with Disney Cruise Line, this is also our very first family cruise, ever! I went on a girls’ trip in college, but other than that, we have exactly zero cruising experience. I’m a big planner when it comes to Walt Disney World vacations, so it should come as no surprise that I’d been researching cruises long before we even booked. Today I am sharing a rough outline of what we hope to do. When we get back I’ll add a recap with my post-cruise thoughts and let you know what worked and what didn’t. I’m going to skip the research, planning, and pricing that brought us to our decision to book a cruise. For this post, I’m getting down to the business of what we plan to do on the ship. Because let’s be honest, that’s the fun part! There are seemingly unlimited options for dining, recreation, excursions, and entertainment both onboard and when in port. When I first began researching it was overwhelming, uncharted territory for me. We are just taking a 3-night cruise so I knew I didn’t want to over plan our activities. After all, a cruise is meant to be relaxing! The problem was, I also wanted to know what my options were so I didn’t miss out on that ONE AWESOME THING. I did a lot of reading and talking to friends who have cruised before me. 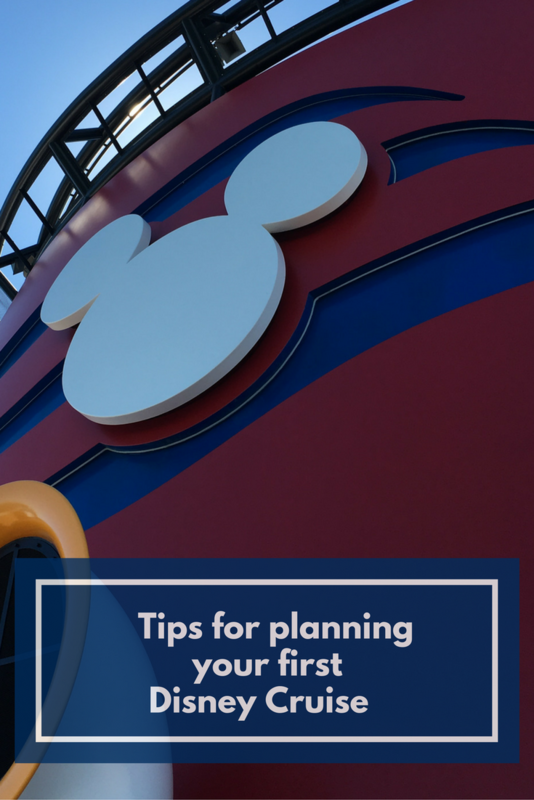 As a Panelist for the Disney Parks Moms Panel, I am very familiar with Walt Disney World, but for Disney Cruise Line, I needed help! Thankfully, there’s a page for that. Whew. For our 3-night Bahamas cruise, I decided to stick to the basics. We’re not doing any extra excursions or meals outside the main dining rooms and because it’s a short cruise, we are opting out of the photo package. I may purchase one family photo if we get a good one. And as a major fan of Disney Memory Maker, saying no to a photo package is hard for me. But at the end of the day, I couldn’t justify the cost for such a short trip. We’ll see if I regret that. We are also not planning to go ashore during our stop in Nassau, Bahamas. We’ll have one day there and one day at Disney’s private Island, Castaway Cay. We definitely want to enjoy the island so I thought we’d stay on the ship and explore on our Nassau day. My boys are already amped about the Oceaneer Youth Club (namely the Star Wars: Millennium Falcon and the Disney Infinity Game Room). I have a feeling we will find plenty to do! From what I can tell, most Disney cruises will have a themed Pirate night with a party, themed menus and fireworks. Guests are given bandanas and are invited to dress up (or not). Since the boys are 4 and 7, I knew I wanted to let them dress up. We already have a few piratey accessories and since it’s the costume off-season, I found some great deals on Amazon for a Kids Pirate costume for Calvin and another for Oscar, our Pirate King! For less than $20 total, our pirate night just got happier! I’ll be going solo for this one, but ever since I heard about the Castaway Cay 5k I knew I would do it the first chance I got. I admit that part of me doesn’t love the idea of stuffing my running shoes into our suitcase, but it’s just too good to pass up! The 5k doesn’t cost anything extra and the finisher medals are adorable. Count me in! When the boys are playing in the incredible kids’ area, Jerry and I will be enjoying the benefits of our Rainforest Room passes ($16/day per person). I’m looking forward to hot tubs, heated lounge chairs, and a nice long nap. Nearly every single person I have talked to about our cruise told me to make sure we order Mickey Premium Bars from room service. Most things are included in the price of the cruise, including room service so this one is a no-brainer. Other than those little plans, we really have nothing scheduled. With all the shows, pools, Character greetings, and meals, I know we are going to have a blast! I can already tell you that our next cruise will be longer because I have a feeling we are about to be hooked! Have you been on a Disney Cruise? What else would you add to my list? Great article Andrea! Hope you had a great cruise! I’d love to chat with you more! Thanks for reading! I am sure I will have lots to share when we get back! Have a great time Andrea! I have done 2 of the 3 day cruises and you are wise to use the Nassau day to explore the ship, with fewer people onboard! Castaway Cay is hands down amazing and don’t miss any of the shows- they are fantastic! Can’t wait to hear how it all goes, you have a wonderful game plan!